The revolution in Tunisia, which started in December 2010, sparked media attention all around the globe. A popular uprising drove out the Tunisian president and thus ended his rule of decades. The protests eventually marked the beginning of a new era. SOS Children's Villages has been supporting vulnerable young people and children in Tunisia by providing day care and education. 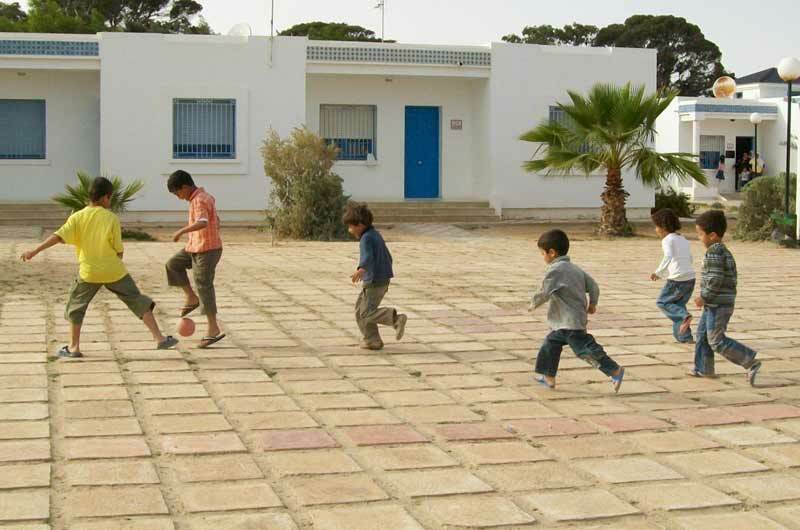 At present there are four SOS Children’s Villages in Tunisia, three SOS Youth Facilities, four SOS Kindergartens, four SOS Social Centres and a SOS mother and staff training centre. Our organisation has been present in Tunisia since the 1980s. The first two SOS Children's Villages were opened in 1983. Since 2006, SOS Children's Villages has been operating SOS Family Strengthening Programmes in order to help families to protect and care for their children. Strengthening family ties and enabling children who are at risk of losing parental care to grow up in a caring family environment has been one of our main goals. At present, our organisation is supporting vulnerable young people and children in four different locations by providing day care, education and medical assistance. Children whose families cannot take care of them can find a loving home in one of the SOS families. SOS relies on the kindness and generosity of Canadians to be able to provide a home for the most vulnerable children of Tunisia. By becoming a child sponsor you are making a commitment to helping an individual child in need. Your gift will help provide a child with food, clothing, education and a loving SOS mother. Please help us ensure a loving home for every Tunisian child. Sponsor a child in Tunisia now. Your donation will help change an orphaned or abandoned child's life. 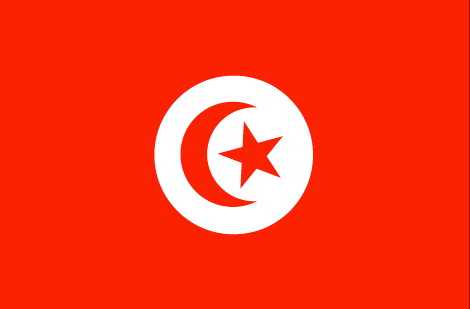 Tunisia is a country in northern Africa that shares borders with Algeria and Libya. Its capital is Tunis and the country has a total population of roughly 10.4 million. Due to its geostrategic importance, the country has always been an important player in the Mediterranean. Following the end of French rule in 1956, Tunisia was led by a pro-secular government that supported women's liberation and the abolition of polygamy. In early 2011, following widespread popular unrest, former president Ben Ali fled the country after 24 years in power. The revolution has been considered the trigger event for profound political change in a number of Arab states, including Egypt and Libya. Since January 2011, Tunisia has been in a state of transition. Agriculture, industry and services represent the major pillars of the Tunisian economy. A growing influx of tourists from mainland Europe has made the tourism sector increasingly important, particularly in the country's seaside resorts. Furthermore, Tunisia has become a popular production site for European companies, mainly because of hourly wages as low as 0.75 Euros. Although the country has generally been stable, militant Islamists have become an issue of concern over recent years. In 2002, a suicide bomb attack in Djerba killed 21 people and caused a dramatic drop in tourist numbers. Compared to most other African nations, Tunisia is a fairly stable country characterised by a high level of human development. Since independence, life expectancy has risen steadily and infant mortality rates dropped. Per capita GDP has grown by roughly three per cent annually since the 1970s. Nevertheless, the socioeconomic situation of many remains rather alarming. In 2010, the official unemployment rate stood at 13 per cent. However, it is estimated that the actual level of unemployment is much higher. Although poverty reduction programmes have had some successes, thousands of people still find themselves on the bottom steps of the socioeconomic ladder, with the majority of poor people living in rural areas of the country. Every year, a substantial number of Tunisian migrants are trying to reach Italian shores in inadequate and often overcrowded boats. Many of them are willing to risk their lives just to make the crossing. Because of the events in early 2011, around 20,000 young Tunisians decided to leave their country in search of a better life in Europe. Tunisia is a source, destination and possible transit country for people who are trafficked for forced labour and sexual exploitation. Studies have shown that roughly 30 per cent of Tunisian girls start to do domestic work before they reach the age of 14. Some of them are barely seven years old by the time they enter the labour market. Many of these girls have reported ill-treatment, physical and even sexual abuse. Although the education system has improved significantly since independence, roughly 20 per cent of Tunisians do not know how to read and write. At less than 0.1 per cent, the HIV-prevalence rate is very low. 37 per cent of the population is less than 18 years of age, making Tunisia a fairly young country by demographic standards. Seven per cent of the country's gross domestic product is spent on education and a Tunisian child receives 14.5 years of schooling on average. Although Tunisia has a very high primary school enrolment rate of 98 per cent, thousands of students of primary school age drop out every year. The precarious socioeconomic situation of many families makes it impossible for some of them to keep their children in school. During the protests in early 2011, a high number of schools had to be closed. After interim authorities took over, many of them could be re-opened. 130,000 Tunisian children have been orphaned and are growing up without their parents. Many of these children end up heading households. The socio-economic vulnerability of child-headed households is extremely high. Young children often have to work in order to earn money, which makes it difficult for many of them to attend school. Child labour and child prostitution do exist in Tunisia. Nonetheless, both phenomena are nowhere near as common as in many other African countries.